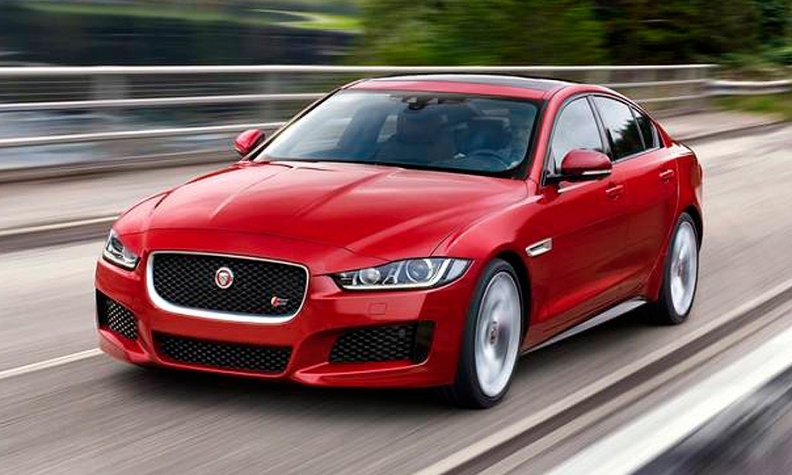 Jaguar reportedly plans to field a hotter XE model to take on Team Germany. And Cadillac. The 2017 Jaguar XE -- the automaker's BMW 3-series fighter -- isn't even in dealer showrooms, but a hotter version is already in the works, Autocar reports. The Jaguar XE-R will take on the BMW M3, Cadillac ATS-V and the Mercedes-Benz C63 AMG, and will make use of the corporate V-8 engine from the F-Type roadster. The V-8 is a supercharged 5.0-liter engine that produces 488 hp and 461 pounds-feet of torque in the roadster. The engine is expected to propel Jaguar's newest offering to 62 mph in less than five seconds. The XE-R reportedly also will feature a reworked eight-speed automatic transmission, courtesy of ZF, as well as retuned adaptive dampers from the F-Type S, in addition to other suspension tweaks. Autocar reports that the XE-R probably will be priced to take on the BMW M3 directly, which in the U.S. likely will mean a starting price of around $63,000. As powerful as the XE-R will be, Autocar believes that there is still room at the top of the range for a version by Jaguar Land Rover's recently created Special Vehicle Operations division. The civilian-spec versions of Jaguar's sport sedan will debut before the XE-R and will land stateside next spring as 2017 models. The base version in the range will be the XE 20d, using the Ingenium aluminum-block four-cylinder diesel engine good for 180 hp and 318 pounds-feet of torque. The other model will be the XE 35t, and will feature a supercharged 3.0-liter V-6 engine tuned for 340 hp and 332 pounds-feet of torque. The XE 35t will boast a 4.9-second sprint to 60 mph, so the XE-R model will have to best that number by a good margin.